7 weeks or 16-20 weeks ... is it really that beneficial to wait an additional 9 weeks ? Anyone with common sense knows the answer is "no". as the reproductive organs will be easier to see and get to and NOT for the health or benefit of the puppy at all, just ask them. 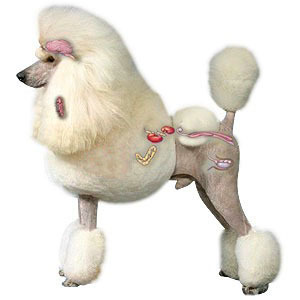 This proceedure has been done for over 30 years according to The American Veterinary Medical Association. 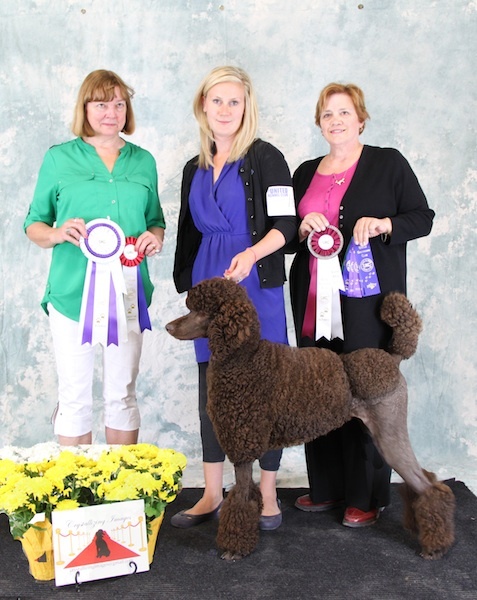 Bijou Standard Poodles has been doing this procedure, with following up on our pups since 2003. 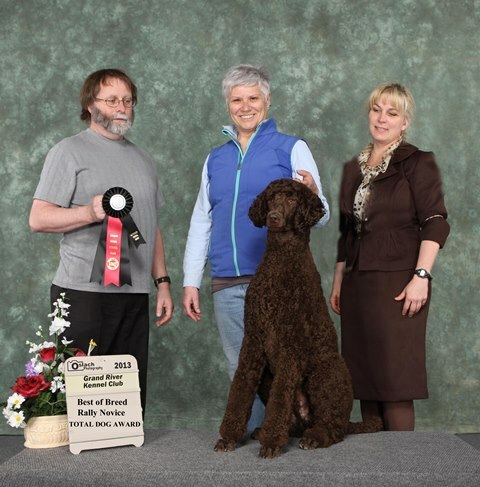 So why don't all breeders offer this or bash responsible breeders, doing this ? The answer is simple and unfortunate, "MONEY"
in order to to sell pups. Paying for this, they feel is money out of their pocket, not concerned about their pups future. This is not cheap for breeders to pay for. For us to do a litter can cost up to $3,000.00 done by a surgical expert. 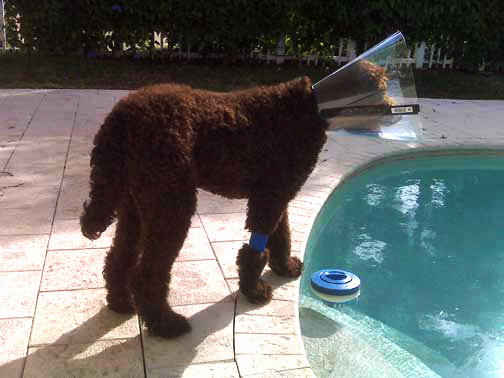 So why does Bijou Poodles want to pay for, and do this procedure ? when there is minimal chance of greater injury or long term problems. And because our Pup's best interest comes first. and we also save our Puppy people up to $1,00.00 by paying for a spay/neuter procedure. 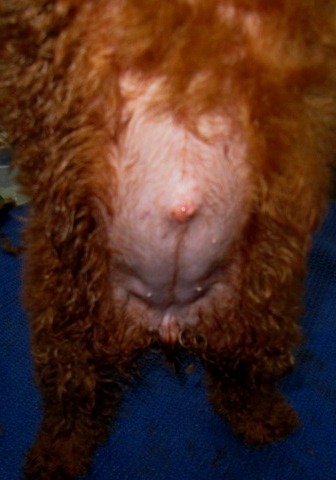 as well as evaluating various Veterinarian's surgical aptitude, and spending years of reading research on the subject. no apparent discomfort 1 day, next day and up to a week following surgery and over 10 years later all in excellent health. 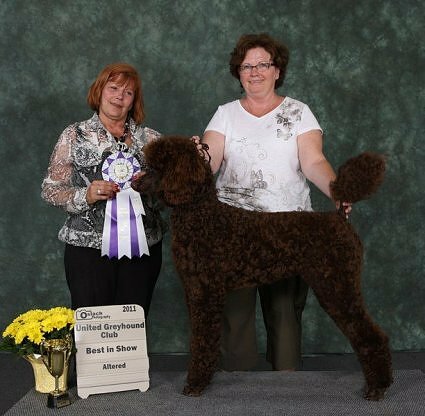 View our documented video on our puppy follow ups below, to see what we mean. Lets face it. No owner or dog would want to go through this experience. WHAT ABOUT THE HORMONES ?? 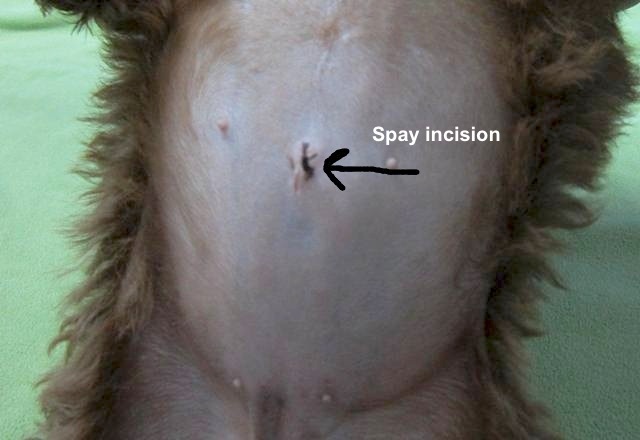 to the Spay or Neuter procedure, called Tubal ligation or Vasectomy . get done to prevent unwanted pregnancy, still leaving the reproductive organs in place and hormones functioning normally. and growth happening normally, because hormone production and development is still occurring. and females will still retain their uterus and uterine horns (same as human women that have had their tubes tied). or neuter (castration) or a Tubal or Vasectomy. The downside to Vasectomy choice, is that males will still have sexual urges driven by hormone production. will be sucked up and not drop down properly in place. Later on in life this is an expensive castration to have done. every 4 to 6 months, as well as still attracting males who will all wish to breed her. The female may even go through a false pregnancy in rare cases. but gives new owners the option of when, or even if, they will have a spay or neuter done later, and at their discretion. We are able to offer this procedure option for an additional $100.00. and the female will no longer experience heat cycles (bleeding) every 6 months of age. is the usual proceedure that most Vets will be very familiar with and have been doing since early 1900's. People worry that this early procedure might stunt growth. we used to say leaner, but we found out this was in part to owners actually restricting their diets. 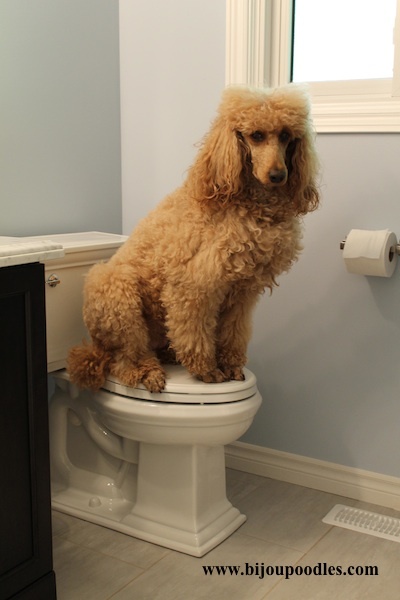 When the pups are toilet trained we really encourage people to leave food down 24/7 for their Poodles. is because the long bones tend to grow for a slightly longer period. but instead by prolonged growth, the implication is that this might be a good thing in our breed. the bone density (strength) increases. People also worry about puppy having Urinary incontinence after the procedure. but we are unsure if this is related to the surgery or because people are restricting water to aid in toilet training. Puppy needs water at all times except at night while in their crate/cage. cost savings to you. Why we would offer Pediatric Spay/Neuter at an additional expense for us? quicker recovery, less stress and financial strain on owners and overall with less trauma for the puppy. 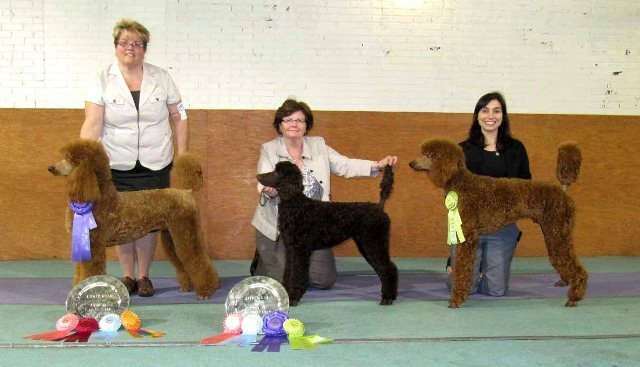 all of which have healthy adult Poodles winning in Performance Events and Best in Shows, which are featured on our web page. However, all our pups are from healthy, health tested, great tempered adults that have excellent conformation. A puppy's hormones are no more physically done working by 16 or 24 weeks, any more than they are at 7 weeks. so waiting an additional few weeks to spay or neuter just does not make any sense. all risk and all responsibility for, and during the proceedure. 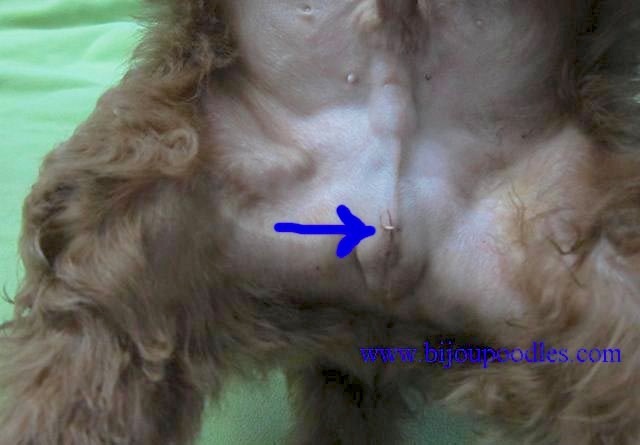 On occasion a female puppy may have a reaction to the internal sutures. This is when the incision site has a hard marble like swelling that will diminish and resolve without any treatment. to clear up the swelling with no further complications. in which the puppy has had the need to pee small amounts frequently. and yet when puppy comes back inside, puppy still pees inside the house. 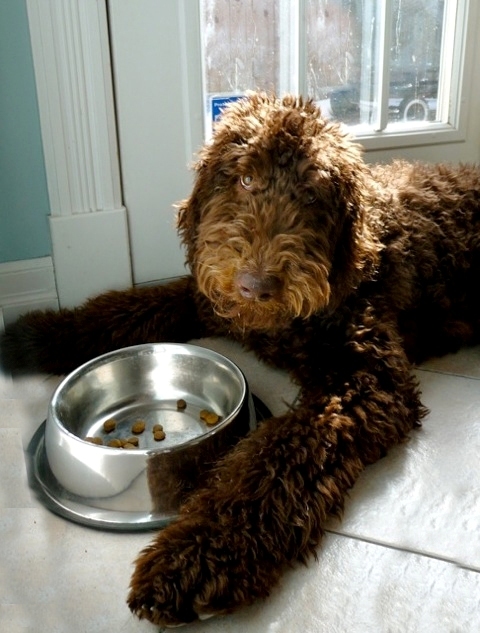 UTI's can be caused by Owners restricting water access in attempts to toilet training. Never restrict water access except when puppy is in the crate for the night. is easily cured with proper diagnosis and a course of antibiotics. 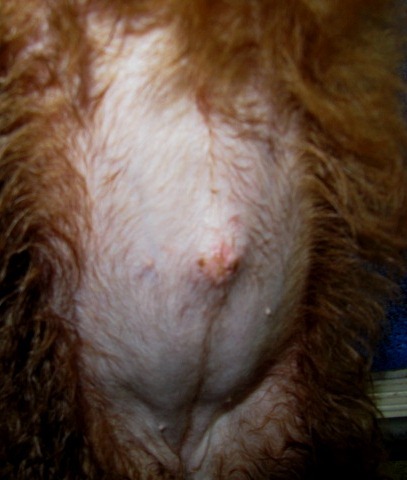 The Puppy will not have that huge belly often seen in older dogs after a spay. The Owner does not have to be faced with any guilt about subjecting their puppy to surgery. The Owner will not miss time off of work to bring the puppy to the Vet office. The Owner will not have to take time off of work to get to the Vet 7 days later for suture removal. The Owner will not have to deal with unexpected heat cycles (bleeding). The Owner will not have to suddenly find extra money for surgery. The Owner will save $200.00- $1,000.00 for cost of Surgery. 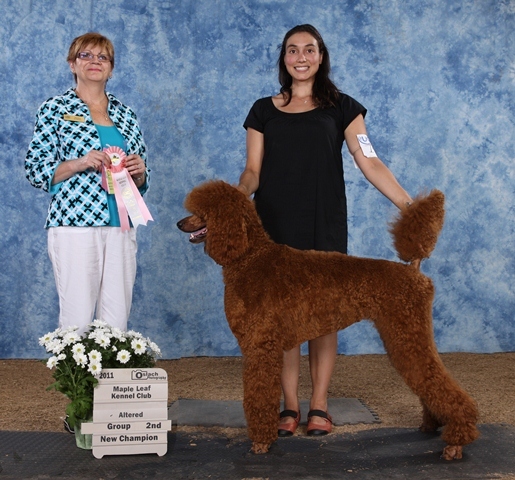 The Breeder has added expense that they will be assuming or including in the price. veterinarians had primitive anaesthetics, monitoring equipments, and surgical tools. that are now used to find a tiny uterus did not exist. Veterinarians were mainly men, working with horses and cattle, heavy, physical work. this can happen at 4-24 months of age) the advice of waiting until after the first estrus (heat) still persists decades later. on his convenience and what was appropriate to his skill and equipment. Now jump forward to the 1960s. than in human women) can be reduced by over 96.4 percent, if we spay before the first estrus (heat). 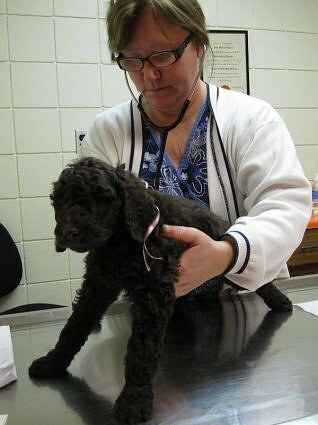 veterinarians began to spay before the first estrus (heat). Determining when the first heat begins presents problems, however. 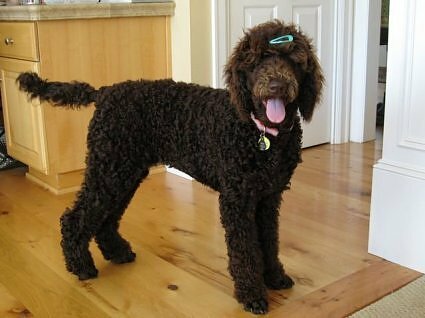 It differs among large dogs (4-14 months), small dogs (around 6 months), and cats (as early as 4-5 months). 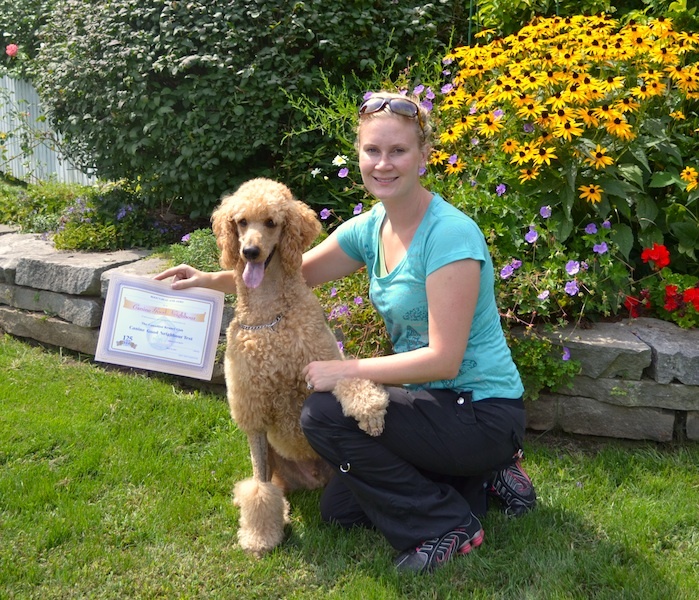 with the goal being to neuter the majority of dogs before their first estrus (heat). Veterinarians discovered that puppies and kittens can be done at 5-8 weeks of age with phenomenal results. upon their surgical skills as this is not a taught skill, but a learned one. illustrating some pretty serious downsides with doing Pediatric spay and or neuters. so we don't know if the pups in the study were from sound healthy breeding stock to begin with. the pups, so we have no idea what the temperaments were in the lines to start with. 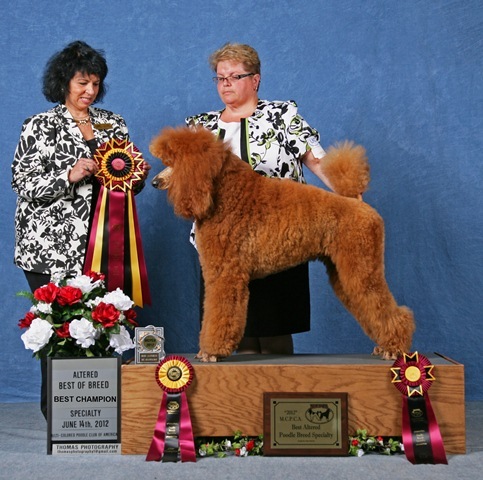 pups are a result of heavy inbreeding, therefore more susceptible to genetic problems to start with. whether the procedure was done on them or not.